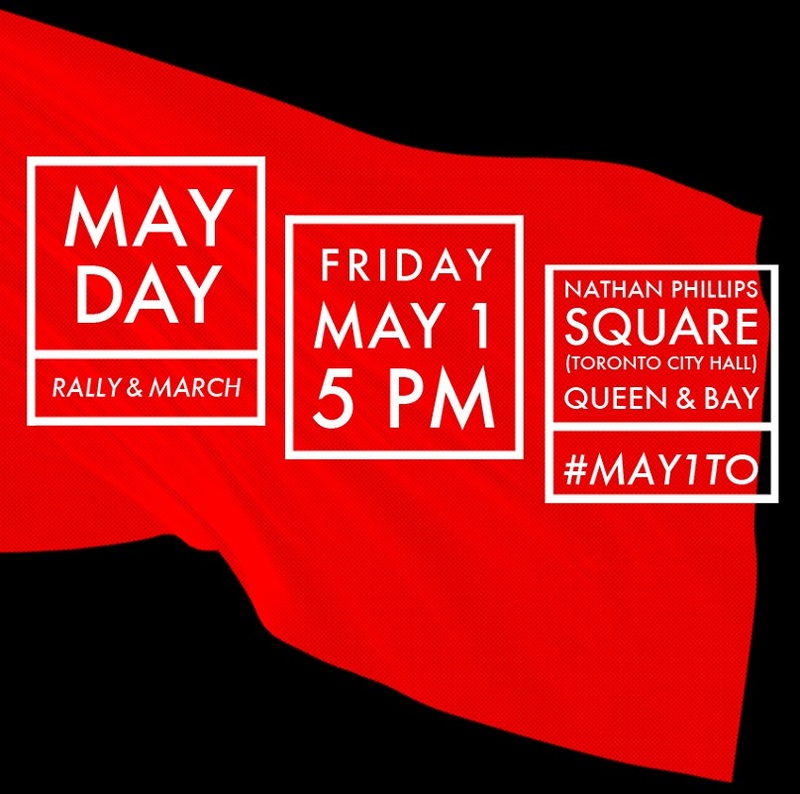 Every year on May 1st grassroots organizations in Toronto rally and march to mark International Worker’s Day, for migrant and workers’ rights, and in support of Indigenous peoples’ struggles. Themed around the most pressing issues of the day and committed to ending oppression and exploitation, May Day unites us in our efforts toward self-determination and liberation. We continue this tradition in 2015, rallying and marching against colonial and capitalist attacks on our communities here, and against Canadian imperialism’s plunder and attacks upon peoples across the world.